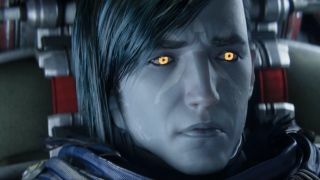 Destiny's Luke Smith talks candidly about the first game: "I don’t think we always knew exactly what we were making"
Destiny wasn't necessarily an immediate hit. While it won fans over from the start, it was initially just a touch obtuse and unwelcoming to anyone not prepared to put in the effort. A lot of effort. Several changes and updates eventually made everything much more friendly but it very much feels like a game that grew into what it is now. I recently spoke to Destiny 2 director Luke Smith about that process, and of the first game's early evolution. "I think candidly... I don’t think we always knew exactly what we were making," he tells me. "We had high level things that we understood. Like, we want this to be a game you can return to every week. We wanted to be a game that was compatible with real life. And candidly, we failed there. Destiny 1 wasn’t compatible with real life." Anyone who's played Destiny from the start will remember the early effort it needed to really reach the higher levels - people had to devote serious amounts of time to get anywhere. "It became a game that became an obligation," admits Smith. "I’ve described it before - it’s hard to give someone Destiny as a gift. They open the game [and] there’s a wedding ring instead of a disk. You’re giving them this relationship, this thing that’s going to take work. Compatibility with real life? Gone." The idea of making a game you'll play every week is still in place for Destiny 2 but Luke and the team seem more confident that, using what they've learned, they'll be able to nail it first time with the sequel. "With Destiny 2, [we've] built a game that we want to call you and your friends back to it, but does it in away that is compatible with your real life," explains Smith. Time management is a crucial part part of this: "If I only have two hours to spend I know exactly what to do," Smith says of Destiny 2. "In Destiny 1, if I said you only had two hours to spend you’d have to go to reddit. In Destiny 2 you’re not going to go to reddit, you’re going to press one button on the controller and the game’s going to tell you what to do." Destiny 2 will be out September 6 with a beta starting July 21 so we'll be able to see what's changed quite soon. In the mean time take a look at everything we know about Destiny 2.